Rifle umbrella too big for you? 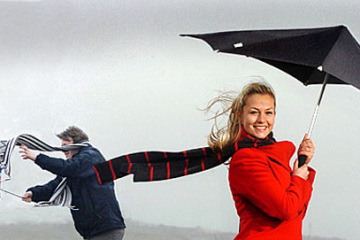 Ditch the big guns and go small with the Gunbrella, a three-fold umbrella with a pistol-like handle for ably battling the onslaught of rain. 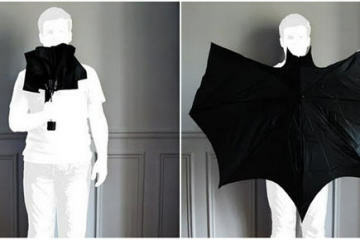 While that rifle-style umbrella will likely get you pulled to the side by security guards when you enter a building, this rainy day instrument shows a little more restraint. The handle does look like that of a small firearm, but there’s no way anyone will mistake this for a real gun after three seconds of close inspection. 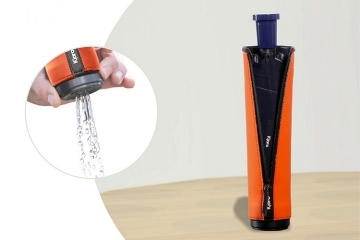 The Gunbrella is a compact folding umbrella that should fit into most clutch and messenger bags. 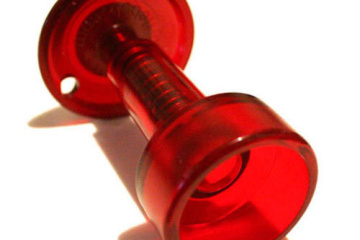 The handle is shaped like that of a pistol, although the body is a bit more rounded and smoothed out to be mistaken for an actual gun. That, and the fact that there’s no finger-plucked trigger to speak of, should clue everyone in on the fact that you’re not planning to stick up a joint. 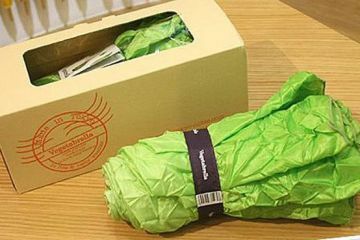 When opened, the canopy expands to a 103 cm. diameter, offering ample protection for one under the rain. 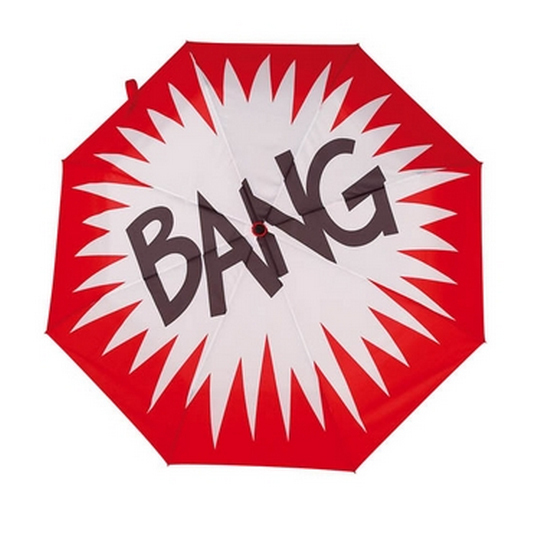 Just so you truly enjoy using the umbrella, they emblazoned the outer part of the canopy with a pop-gun-style BANG graphic — a nice touch that leaves it all the more entertaining. 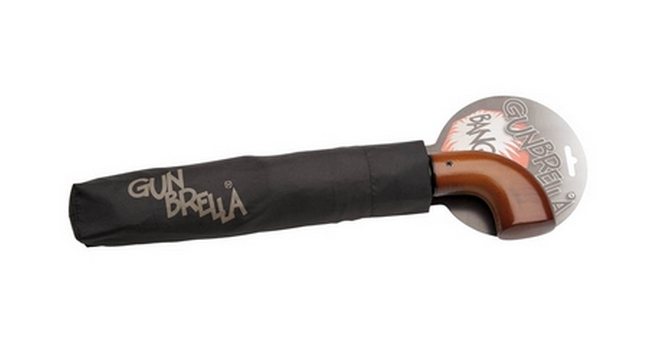 You can get the Gunbrella directly from the product website, priced at £10.99 (around $18).